I chose this cake from a cookbook called, Make it with a Cake Mix by Lizzy Early. The cookbook has a selection of desserts that use cake mix as a base. 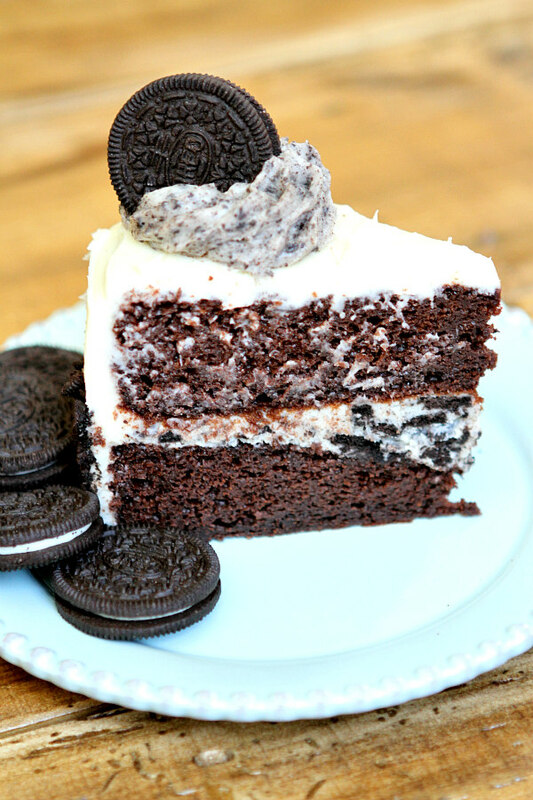 This cake is a doctored-up cake mix turned into a fancy two-layer cake with an Oreo frosting. Brooks was having a few friends over for his birthday, and I knew they’d all love this cake! Here’s a series of photos showing you how I assembled the cake. I like to lay pieces of waxed paper under the sides of the cake… it makes frosting the cake (and the platter) much cleaner. What’s the best thing about turning 15? Almost being able to get my driving permit!! What do you think you’ll major in? What’s your favorite thing to have for dinner? And the verdict on the cake? Brooks and his buddies all enjoyed it very much (and Mom and Dad too!) It was especially good served with ice cream. 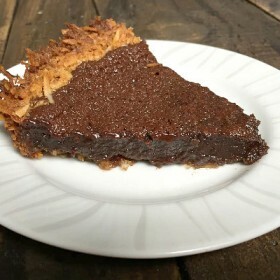 It’s hard to believe that Brooks is 15 already… he got this food blog 5 years ago on his 10th birthday!!! Sift the cake and pudding mixes into a medium bowl; set aside. 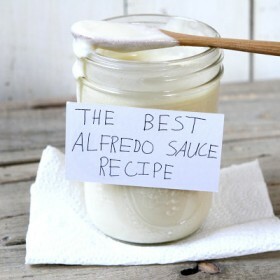 In a large bowl, whisk together the eggs, milk, oil, sour cream and vanilla extract. Stir in the dry ingredients. Divide the batter between the two pans. Bake for 20 to 25 minutes or until a knife inserted into the center comes out clean. Let the cake cool completely, then slide a knife around the edge of the pan and turn it over onto a rack. Tap your knife around the center of the bottom of the pan if it isn't coming out easily-- to loosen it up. Repeat with the 2nd cake. To make the frosting: In a medium bowl, use an electric mixer to combine the butter and cream cheese. Add the vanilla extract and milk; gradually add powdered sugar until frosting reaches a desired spreading consistency. 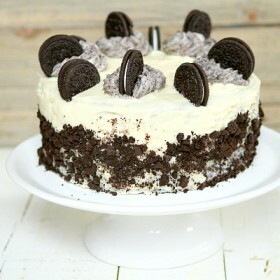 Place about 1/3 of the frosting into a small bowl with 1 1/2 cups of the crushed Oreos and fold until combined. This will be the frosting you use between the layers. 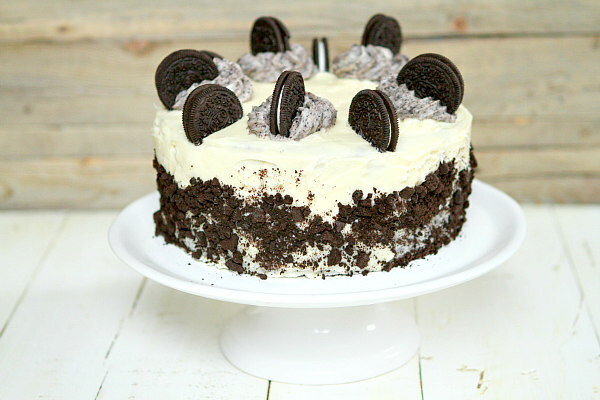 To assemble the cake: Place one layer on a cake platter, spread the Oreo frosting on top of the cake, then place the 2nd layer on top of the frosting. 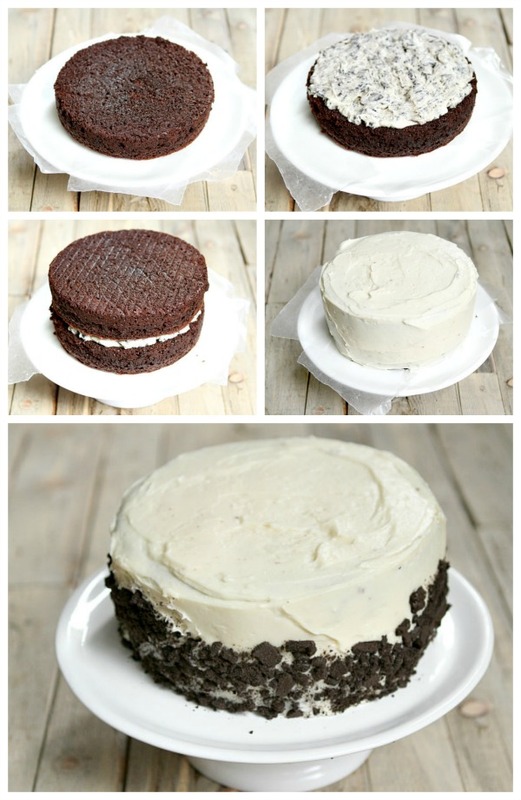 Cover the entire cake with cream cheese frosting that has not been mixed with the cookies. Decorate with crushed cookies on the sides and whole cookies on top. 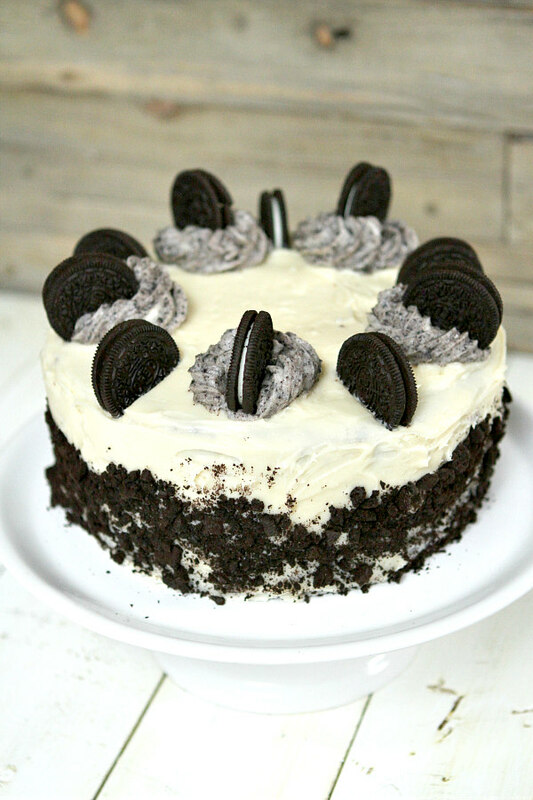 I had a little bit of frosting left over... so I mixed it with some very finely crushed Oreos and piped it on for decoration on top. Gorgeous cake, Lori. 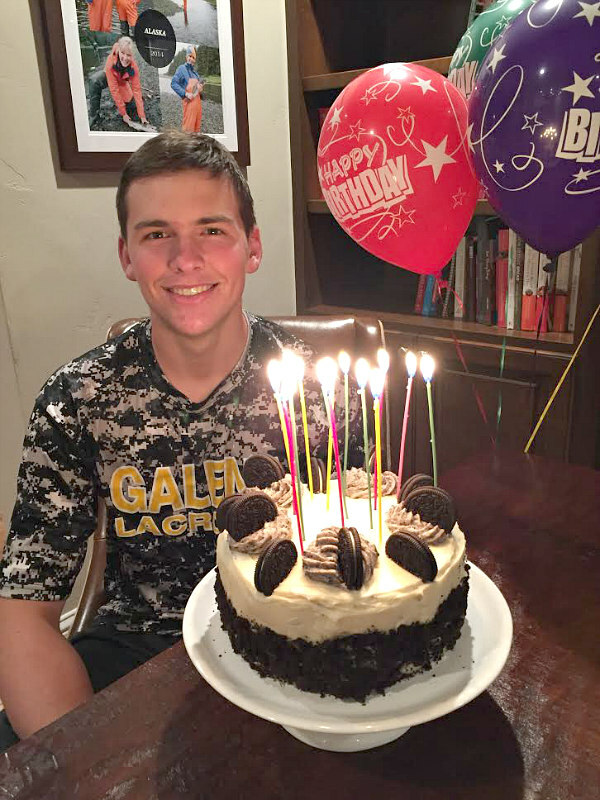 And Happy 15th, Brooks!